This year’s Photoshop Week 2017 is fast approaching and we’re getting excited! To start preparing, we’re sharing five of our favorite essential Lightroom and Photoshop video tutorials. From a Lightroom how-to that’ll please your clients and speed up your editing process, to a way to quickly edit multiple images in Photoshop, our instructors are full of helpful tips. 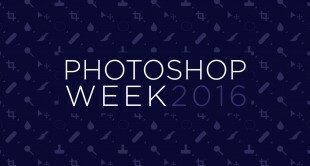 RSVP to our 5th annual Photoshop Week event – broadcasting LIVE on May 15th to the 20th, 2017. Featuring over 42 classes from 16 world-class instructors, spread out over 6 days a- there’s going to be something for everybody. Check out the lineup and be sure RSVP to save your spot for exclusive content and reminders – click HERE for more. We’ve also got a Buddhist-inspired tip from New York Times best-seller Susan Piver, who can help you become a better communicator, just by paying attention to what’s really happening right now. 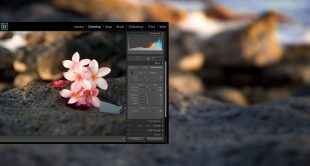 Kevin Kubota shared this super-simple Lightroom trick for reducing lines from photography subjects, without airbrushing them into oblivion. Get more cool tips like this from Kevin in his course, The Lightspeed Workflow System. Lots of photo filters in apps like Instagram add in the effect of a lens flare — but what if your shot includes a lens flare that you don’t want? During his course, Photoshop for Photographers, Ben Willmore has a quick tip for removing lens flare in Photoshop, to help lend more consistency to your photos. Got a ton of photos to edit? Wedding photographer Jim Garner edits multiple images at once, which can save you time (and, in the end, money). Jim’s course, From Images to Art: Storytelling in Wedding Photography, is full of this kind of trick. Buddhist teacher and best-selling author Susan Piver has some advice for focusing on the task at hand. This simple definition of “mindfulness” may seem abstract, but it really can make you a better communicator, both in your relationships and your career. Designers spend so much time learning programs, it can be hard to get motivated to try a new one. If you’ve been wondering about whether or not you should be using Corel Painter, the answer is yes — and Jeremy Sutton can convince you why. Watch this short tutorial and you’ll be dying to get your hands on more tips like this one.